I miss you so much! As I wake up this morning thinking about you, on the one hand, my heart cries out that I want to see you, ruffle your hair, hug you, and tell you how much I love and miss you! On the other hand, I am grateful that you are in Heaven where joy and peace are not dependent on circumstances…you get the chance to praise and worship, where the focus is on God’s love and grace and where Jesus is the star! 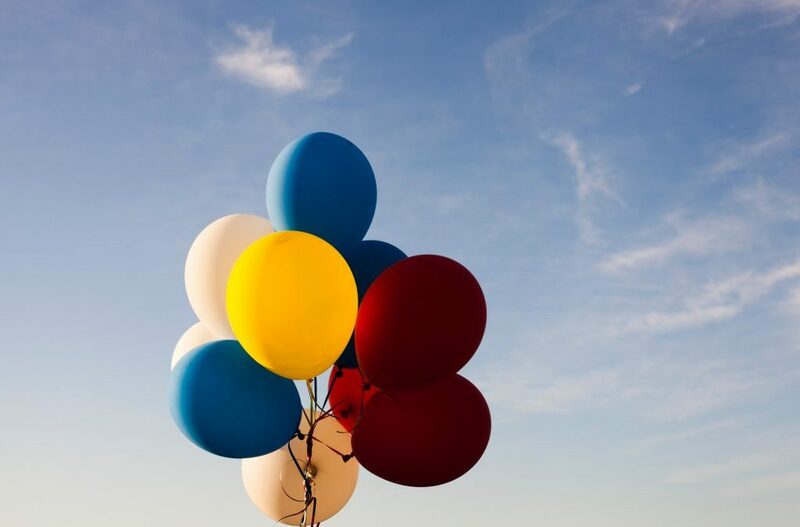 Do you celebrate human birthdays in Heaven? Do you know that your sister, Amy, has a wonderful husband, Patrick, and four beautiful children who know so much about you…as if they have known you here on earth? Do you know that week before last when we were in Crested Butte with Amy, Patrick, Sam, Jackson, Lila, Neal, and Patrick’s parents that Lila and Neal choreographed a dance to the song “I Can Only Imagine” in honor of you? Do you know that your friends still stay in touch with me on Facebook to let me know how much they miss you? Do you know that I failed to write everyone a thank you note for their love, support, and gifts when you died? Do you know that Paschal High School still sponsors the Bart Granger Memorial Golf Tournament every September, and Coach Herb Stephens won’t let the 200+ boys start playing until he talks about you? Do you know that Bradley Boyd is getting married? Do you know that your Dad and I divorced and that we are still friends who share an unbreakable bond of love for you, Amy, and her family? Do you know that I wrote a book about you, your death, and how many treasures I have received from God and how grateful I am? understands I need an “update” on how happy you are? And lastly, will I remember these questions when I see you in person? In light of today being your birthday, let me share today’s heavenly “emails” with you. You have already heard how I awoke thinking of you. Wait till you hear the rest! I keyed in on “peace at all times in every way”, because I need His peace, especially today. When I talked to her on the phone and shared my story of the song in church, she shared a story of her own. Jackson, age 11, had four basketball games yesterday…his team played in a double elimination tournament. She said he reminded her of you because he sticks out his tongue when he plays. This one was your Dad’s. is a positive thing…without love, it wouldn’t break. This verse says it all! Why is breast cancer such shocking news? In this article, we explore why so many women are getting breast cancer, why it is such shocking news, and what you can change NOW to prevent this disease! We are shocked by the news that a friend or loved one has Breast Cancer. But, how paralyzed we feel when we hear WE have been diagnosed with Breast Cancer! All of us have cancer cells in our bodies, so how can we avoid this disease? Recently a dear friend who lives in California called me just as I was leaving my pre-op appointment at the hospital for my final reconstruction surgery. I hadn't talked to her in way too long, and it excited me she had called. After discussing my upcoming surgery, I asked her, " How are you doing? " She answered, "Well, you won't believe it...!" I replied, "Oh, no, don't tell me!" "Yes," she said, "I had a double mastectomy two weeks ago." Let me say that she is the epitome of health and fitness. When we lived in Texas, we went to yoga classes together. I didn't place my mat too close to hers because I was embarrassed how stiff and unbending my body looked compared to hers! She is one year younger than I and works out faithfully! Her beautiful appearance and elegant demeanor landed her modeling jobs after moving to California. Furthermore, she continues to model after mastectomies and treatments. So, it saddened and shocked me to hear that she was experiencing the same breast cancer path I have traveled. Why Are So Many Women Getting Breast Cancer? Breast cancer occurs when the DNA of the cells is altered. According to Wikipedia, the risks are due to genetic and environmental causes. "In 5% of breast cancer cases, there is a strong inherited familial risk." So what causes lurk in our environment? What changes can we make to prevent getting breast cancer? The older we get, the more our chances of being diagnosed with cancer increase. "A woman is more than 100 times more likely to develop breast cancer in her 60s than in her 20s." Watch this short video by Chris Wark on how to reduce the risks of breast cancer. 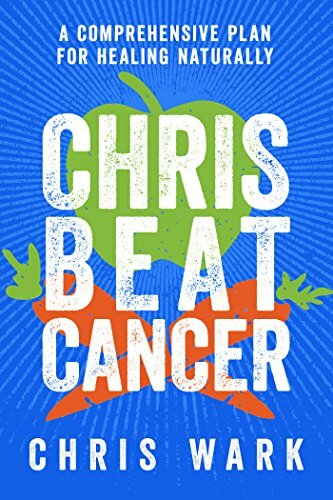 I would HIGHLY recommend this book if you have been diagnosed with ANY kind of cancer, or if you know someone who has. It shares a Colon cancer survivor's story who opted out of chemotherapy after surgery. Chris Wark shares a toxin-free diet, lifestyle, and therapy guidelines he used to help himself heal. If you have breast cancer in your family history, or other types of cancer such as ovarian, lung, thyroid, etc. you need to have genetic testing done. Ask your doctor to order the test or tell you who to contact. Most insurance companies will pay for part or all. I had the testing done AFTER finding out I had cancer. My mom had ovarian cancer, her sister had colon cancer, and my dad had thyroid and lung cancer. The test revealed I do have a Chek2 gene inherited from my dad for breast and colon cancer. This particular gene does not skip generations. As a result, my daughter is going to have the testing done also. If she does not have the gene, her daughters will not be at risk. So if genetics is only 5% of the cause, what other risk factors are there? Read More about the Peaks and Valleys of breast cancer! Stay tuned for more blog posts where we will explore each risk factor along with steps you can take NOW to prevent or heal breast cancer. And, yes, cancer can be healed! DON'T wait until you have been diagnosed (like I did) to make changes in your lifestyle that can help you avoid cancer. Disclaimer: I am not a doctor. I will always share sources and experiences. If you are diagnosed with Breast Cancer or know someone who has, it is up to you to do your own research and to choose your treatment plan. Don't go it alone! Get monthly tips for thriving through grief or breast cancer, and receive access to a free Resource Library full of helpful tips, articles, and website links. 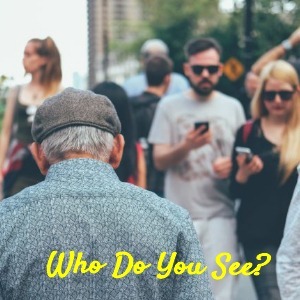 In The Busyness of Life, Who Do You See? As I read this scripture, my eyes rest on “sees the Son.” I ask myself, how often do I see Jesus? How often do my daily activities distract me and keep me from seeing the Son? Do I care that He is standing in front of me? Do I walk past Him not even noticing His presence? First, picture yourself walking down a busy sidewalk with strangers coming and going. Next, you spot a close friend approaching. She/He hasn’t looked up because of reading text messages. Therefore, you get to decide. Are you going to look at her/him and walk on past? Or are you going to make eye contact and greet your friend with a warm hug? Will you enjoy as much conversation as you both have time for? If you choose to stop and visit, will you carry the vision of your friend and pieces of your conversation with you as you “tackle” your day? As I read, “…who sees the Son and believes in Him…”, I ask how many times I SEE HIM during my regular day. Do I walk on by because I am too busy to acknowledge His presence, talk to Him, and take part of Him with me? In John 6, Jesus tells his disciples that God gives the true bread from Heaven. They jump on that, and ask Him to give them that bread ALWAYS! How many times do I rush past Jesus during by “busyness” not recognizing what He wants to offer me? No wonder I get stressed over my “to do” list, fret over silly challenges, and close myself off to others’ needs! My intentions are good I want to spend more quality time SEEING Jesus every day. Therefore, when I realize I am slipping, I have to recommit myself to start my day with Him. Only then can I see Him, recognize His grace, and share His grace with others. 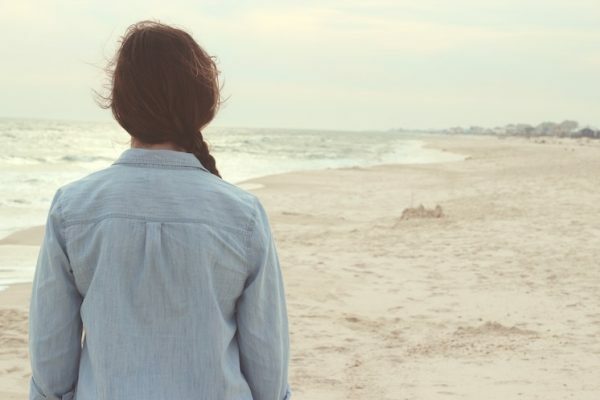 So, when I don’t start my day with Jesus in prayer, empty busyness takes control. I take my eyes off of Him, and I forget to call on Him for help.for big or little things! In Matthew 14:29–30 Jesus called to Peter asking him to walk on water to join Him. Peter got nervous watching the waves caused by the strong winds. He began to sink when he took his eyes off of Jesus. He immediately called to Jesus to save him. Isn’t that amazing? Jesus didn’t chastise him focusing on his circumstances. He immediately reached out His had to catch Peter. He is waiting for us to call out to Him to save us in ANY situation. Above all, I know I need to try harder to SEE Jesus each day spending time with Him in prayer and in His Word. Only then will I focus on His power and love. Humble Disclaimer: The ideas for this blog came after I read one of the Our Daily Bread devotionals. Each devotional has corresponding scriptures which complement the writer’s story. Some of the devotionals speak louder to me than others. When I am convicted, the act of sharing my thoughts helps me act on what I write. I guess you could say I am writing to myself! I never want to sound “preachy” or self-righteous. The “cracks” in my “pot” are wide and deep. I am living proof that “a cracked pot” can survive traumatic challenges. But, being a retired baby boomer causes me to consider how much time I may have left. Thriving, not surviving, is my passion. Spending time with Jesus is my lifeline. What are some ways Jesus helps you thrive? Comment below! Please share this article with anyone you know who is suffering! When my doctor found a lump in my left breast during a routine pre-Medicare physical, we both agreed I needed one. Breast cancer is different for each woman who is diagnosed. I can only speak for myself in saying that there are initially many more valleys than peaks. Do I need to be in a hurry? Which treatments are right for me? What treatments are right for me post-surgery? What will recovery involve and for how long? How can I keep it from recurring? The lingo the physicians throw at us requires another college degree to understand what they are talking about! This adds to our mental stress. How will this affect my relationship with those I love? What lifestyle changes will be necessary? Won’t the stress play havoc with my emotions and affect my healing? How much pain will I be in and for how long? Will the treatments make me sick? Spiritual valleys creep in even if we have a deep-rooted faith. Did God “zap” me with this disease? I am scared. Can God help me? Sign Up to Get This “Cheat Sheet” and Subscribe to the OYT Newsletter! “This morning when I awoke, I was thinking about peaks and valleys. Since I am working on a logo with mountains and sun (hope) behind it for my website, I want to write about the peaks and valleys of surviving breast cancer. 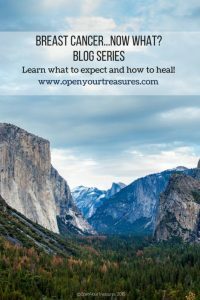 I am going to begin blogging about the steps you go through…emotions, decisions to make, physical pain challenges, spiritual challenges, family challenges, etc. Then I read the Our Daily Bread devotional about The Great Physician (to read the article, click on the link at the end of this post). I was reminded that striving for spiritual well-being could be much more crucial than physical healing because physical pain is temporary and spiritual healing is eternal. The prayer in that day’s devotional really rang home. 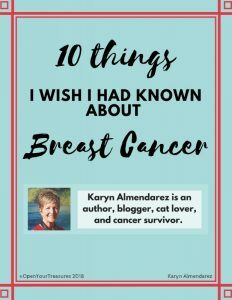 My journey has included double mastectomies, decisions about treatments, love and support from family and friends, and radical changes in diet and lifestyle. As of August 2018, I am cancer FREE! My intentions are not to convince you what to do, only to give you information and inspiration to make choices, live every day striving to deepen your faith, and find complete healing and wellness. Would you be so kind to SHARE and COMMENT? Help me to help others by hovering over the image and sharing it on Pinterest, Facebook, and Twitter! Please reply below with questions you have about breast cancer. These products and information on this page are not intended to diagnose, treat, cure, or prevent any disease. This website is not a substitute for professional care. Always consult your medical doctor regarding your medical care. Never disregard professional medical advice or delay in seeking it because of something you have read on this website. Is it a cozy, comfortable chair? How about under your favorite tree? Today our country’s government officials and citizens are at odds on several issues. The news media loves to focus on those differences and make us feel that our Constitution and Declaration of Independence are being ignored. Is the state of the Union our sole source of feeling safe and secure? 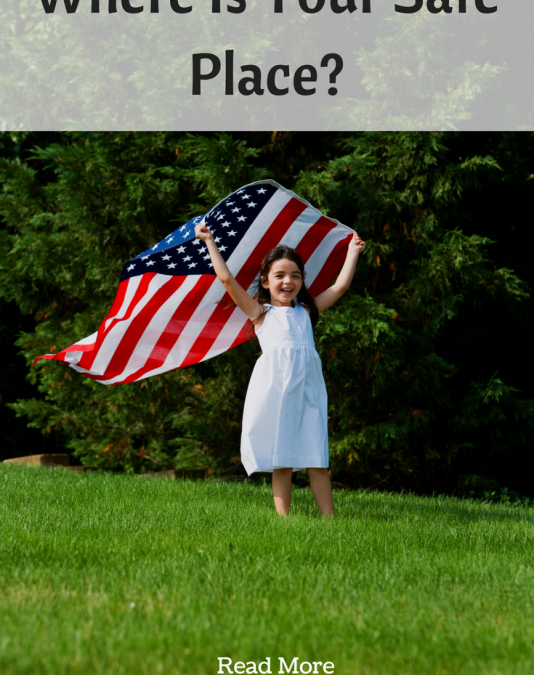 As we celebrate our country, our families, and our freedom, can we remember where our refuge comes from? 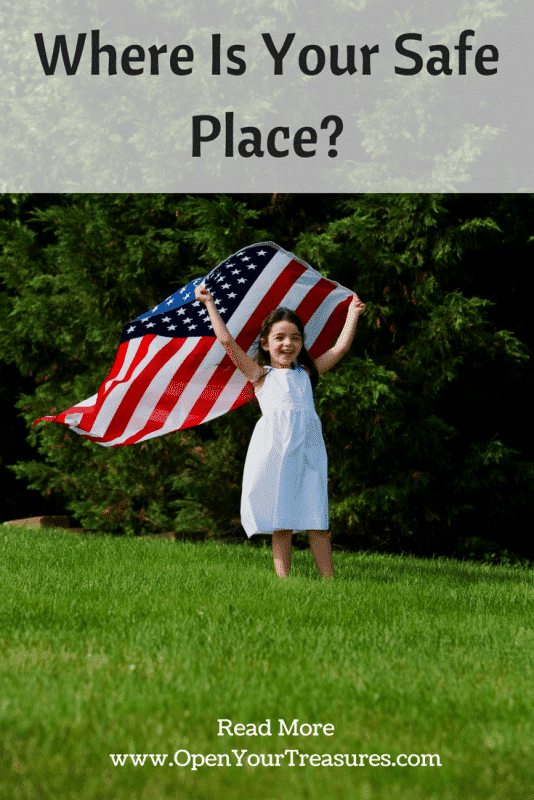 Where Does Our Refuge Come From? Refuge can be defined as a condition of being safe or sheltered from pursuit, danger, or trouble. 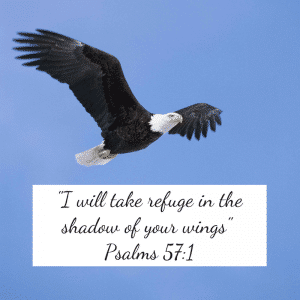 What Does Having God as Our Refuge Do for Us? The answers are in Psalm 46:2-10. How will you spend your July 4th? What are you thankful for?